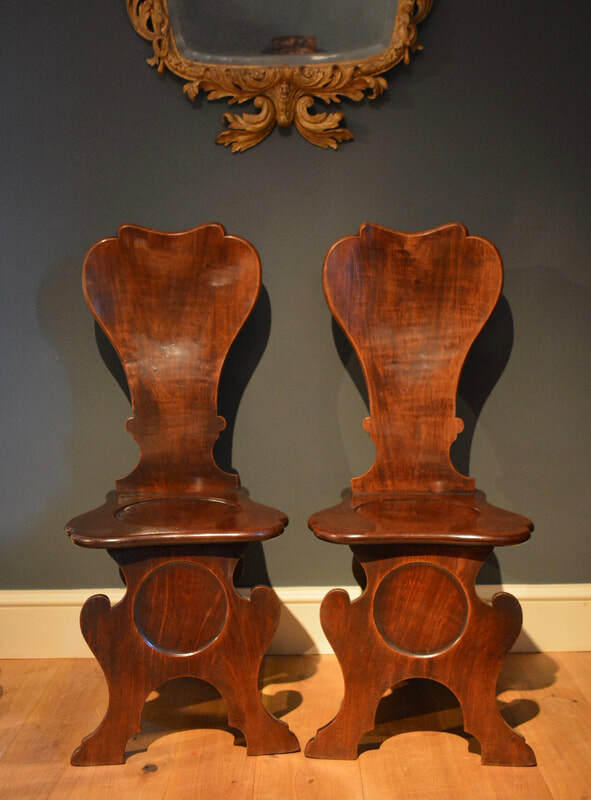 A pair of George II mahogany side chairs, the cabriole legs with shell carving to the knees. A large George II cherry wood stool, the cabriole legs with acanthus carving to the knees, terminating in claw and ball feet, the drop in seat upholstered with 18th Century needlework. A rare Charles II circular stool, the ebonized beech legs formed of standing 'boyes' the legs united by a wavy X stretcher centred by a finial. The whole standing on it's original bun feet. This rare piece retains it's original upholstery under the modern covering. A fine set of George III mahogany dining chairs comprised of 2 armchairs and 8 single chairs.